DNS poisoned for LinkedIn. Affects us? Sure, it does. If you were unable to access LinkedIn for almost the entire day earlier this week, then you can take solace in the fact that you were not the only one, not able to. Almost half the world shared your misery where all attempts to access LinkedIn (and several other websites) went awry. This purportedly happened because a bunch of hackers decided to poison the DNS entries for LinkedIn and some other well known websites (fidelity.com being another). Before we delve into the sordid details of this particular incident lets quickly take a look at how DNS works. Whenever we access linkedin.com, our computer must resolve this human-readable address “linkedin.com” into a computer-readable IP address like “216.52.242.86″ thats hosting this website. It does this by requesting a DNS server to return an IP address that can be used. The DNS server responds with one or more IP addresses with which you can reach linkedin.com. Your computer then connects to that IP address. So where is this DNS server located that i just spoke about? This DNS server lies with your Internet service provider, which caches information from other DNS servers. The router that we have at home also functions as a DNS server, which caches information from the ISP’s DNS servers — this is done so that we dont have to perform a DNS lookup each time we have to access a website for which we have already resolved the IP address. Now that we know the basics, lets see what DNS poisoning is? A DNS cache is said to be poisoned if it contains an invalid entry. For example, if an attack “somehow” gains control of a DNS server and changes some of the information on it — it could for instance say that citibank.com actually points to an IP address the attacker owns — that DNS server whenever requested to resolve citibank.com would tell its users to look for citibank.com at the wrong address. The attacker’s address could potentially contain some sort of malicious phishing website, which could resemble the original citibank.com or could simply be used to drop all traffic. The latter is done when ISPs want to block all access to a particular website. China typically does it for lot of websites — its called the Great Firewall of China. There are multiple techniques which China employs to implement their censorship and one of them is DNS poisoning (more here). DNS poisoning spreads like wild fire because of how it works. Clearly Internet service providers cannot hold information about all websites in their DNS caches – they get their DNS information from other DNS servers. Now assume, that they are getting their DNS information from a compromised server. The poisoned DNS entry or entries will spread to the Internet service providers and get cached there. It will then spread to other ISPs that get information from this DNS server. And it wouldnt stop at this, it would spread to routers at campuses, homes and the DNS caches on individual user computers. So everybody who requests for the DNS resolution of the hijacked website will receive an incorrect response and will forward traffic to the address specified by the attacker. LinkedIn.com and a number of other organizations have registered their domain names with Network Solutions. For some inexplicable reason their DNS nameservers were replaced with nameservers at ztomy.com. The nameservers at ztomy.com were configured to reply to DNS requests for the affected domains with IP addresses in the range 204.11.56.0/24. This address range is belongs to confluence networks, so all traffic bound to LinkedIn was re-routed to a networks hosted by confluence networks. But what caused the name servers to be replaced? According to Network Solutions (NS), they were hit by a distributed denial-of-service (DDOS) attack on night of 19/06. This is certainly is plausible since Network Solutions, being the original registrar for .com, .net, and .org domain names, is certainly an attractive target for attackers. Most of you would remember the (in)famous August 2009 NS server breach which allegedly led to the exposure of names, addresses, and credit card numbers of more than 500,000 people who made purchases on web sites hosted by the NS. They have reassured customers that no confidential data has been compromised as a result of the incident. The jury meanwhile, is still out on whether this was a configuration error or a coordinated DNS attack on Network Solutions. Regardless of what it was, the fact is that enormous amount of LinkedIn traffic was redirected to some other network. 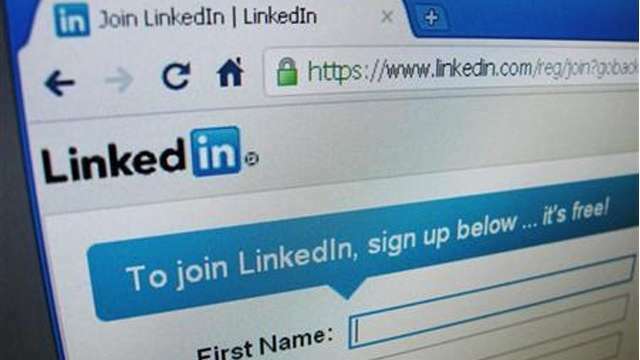 This is should make all of us very nervous since LinkedIn does not use Secure Socket Layer (SSL), which means that all communication between you and LinkedIn goes in plaintext — leaving you vulnerable to eavesdropping and man-in-the-middle attacks. If an attacker is able to intercept all data being sent between a browser and a web server they can see and use that information. In this event all traffic bound to LinkedIn was diverted to IP addresses owned by Confluence Networks. This isnt the first time LinkedIn has compromised the security of its users. Earlier in June 2012, nearly 6.5 million encrypted passwords were compromised when they were dumped onto a Russian hacker forum. Its around this time that a team of mobile security researchers discovered that LinkedIn’s mobile app for iOS was transmitting information about calendar entries made on that app, including sensitive information like meeting locations and passwords, back to LinkedIn’s servers without users’ knowledge. Not only is this a clear violation of their user’s privacy (which is a different discussion btw) but is also extremely dangerous if this data transfer is not being done securely, as this would leave LinkedIn users very vulnerable to eavesdropping attacks. So when the DNS entry for LinkedIn was poisoned we know that all our confidential information was diverted to unknown servers that can mine that data in whatever manner they find most amusing. I just hope that you didnt have any confidential data plugged into your LinkedIn iOS app, as somebody somewhere may just be reading all that as you read this blog post.